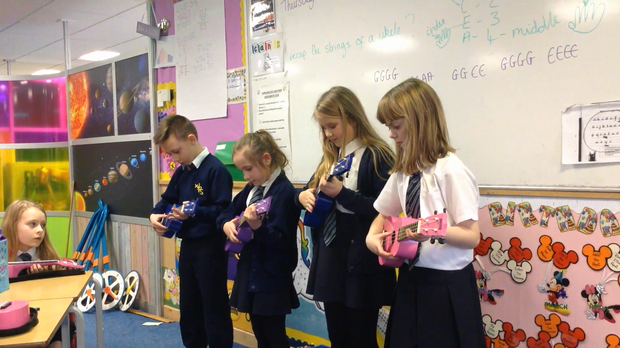 Currently, we are very lucky because we are having lessons on how to play the ukulele. Mrs Harriman, has been coming in every week to teach us and we are doing a super job. 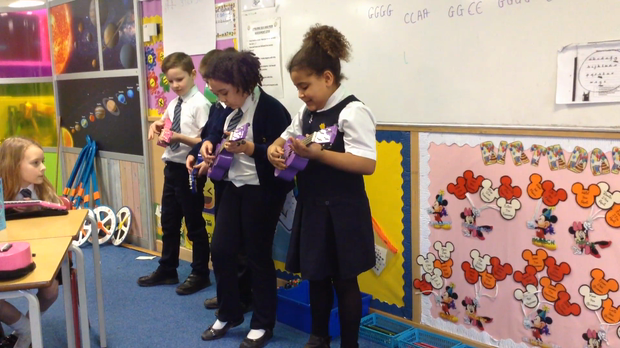 So far we have learnt how to hold the ukulele correctly, the notes of the 4 main strings and how to strum. 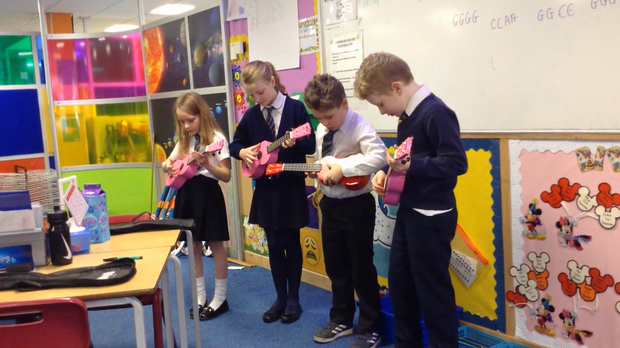 It's been quite tricky because we use certain fingers for certain strings, but we've been resilient. 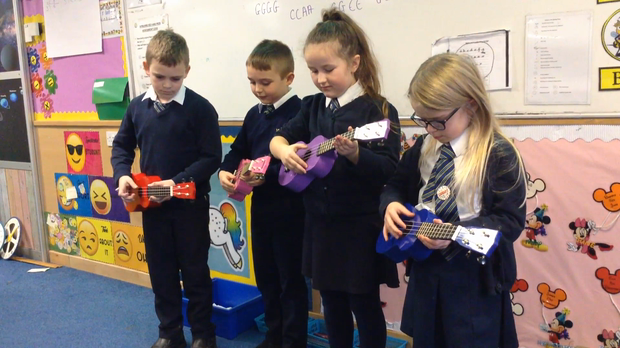 Today, we had a go at composing our own tunes. We have been working hard on trying to play together at the same time. This is still something we need to practise, but we are getting much better. Take a look for yourself :).